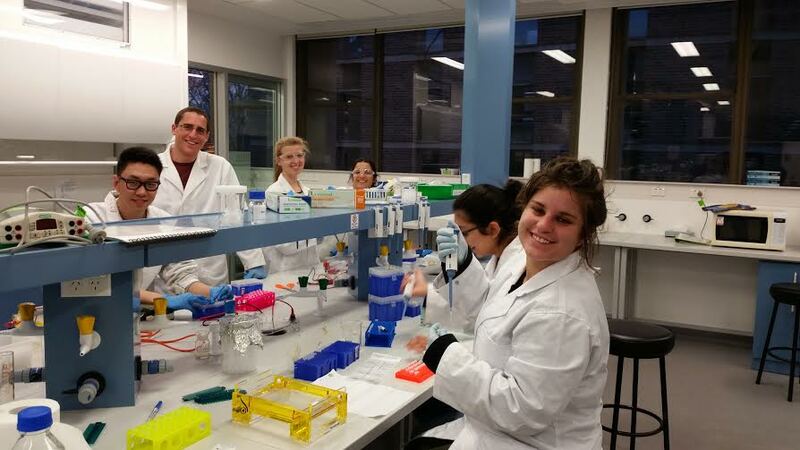 In September, undergraduate Biomolecular Science students from Macquarie University will be competing against their peers in the global scientific community during the International Genetically Engineered Machine (iGEM) competition in Boston, Massachusetts. The iGEM competition involves students engineering genetic material and transferring it into the bacterial species E.coli, imparting it with new biological functions. Since 2013 the Macquarie University iGEM teams have been working toward endowing E.coli with the genes required to produce chlorophyll, the pigment in plants that allows them to harness the energy from sunlight. This year’s team is expanding on the previous submission, attempting to synthesise the genes required for E.Coli to perform photosynthesis and produce hydrogen gas, a renewable energy source which is currently difficult to produce on a large scale. The team will also be returning with a second instalment of the web based reality video series “So You Think You Can Synthesise”, where viewers can post questions to the team and eliminate contestants. The series forms a part of the competition’s public outreach component where teams are encouraged to educate the community about the innovative field of synthetic biology and dispel any fears or misinformation.